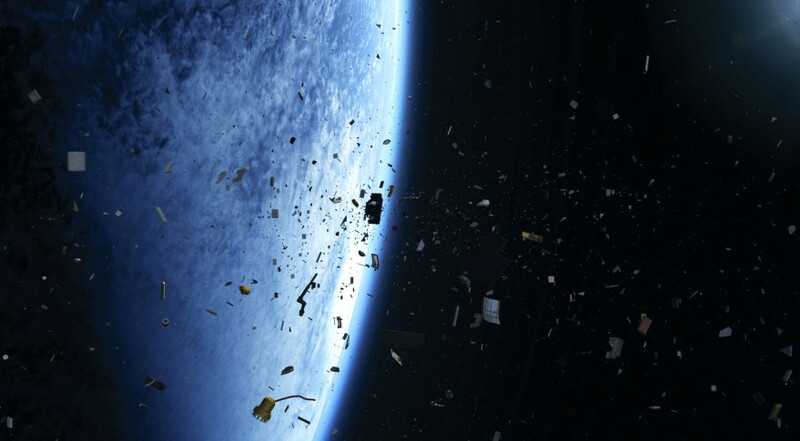 Op-Ed | Space Debris: Prevention, Remediation or Mitigation? The recent catastrophic explosion of the U.S. Defense Meteorological Satellite Program Flight 13 (DMSP-F13) satellite — which has caused 43 new pieces of space junk — confirms once again that space debris has become one of the highest concerns for the space community. Very detailed analyses showing debris growth in the next century are available and kept updated by space agencies and research institutions. Most of them show how different behaviors strongly impact the scenarios we may face. Concepts such as “business as usual,” “light mitigation” and “strong mitigation” are based on the assumption that new satellites will not become debris at the end of their missions. Among the 6,000 satellites launched so far into space, almost 4,000 are still there, and only 30 percent of them are still operational. What about the remaining 70 percent? They are still orbiting uncontrolled, at almost 30,000 kilometers per hour, increasing the risk of colliding with one another or with operational vehicles. While we are tempted to think that space is big, the actual exploitable space is getting crowded. The great majority of satellites are concentrated in three main areas: low Earth orbit, medium Earth orbit and geostationary orbit. The highest concentration of debris — over 300 million objects with a diameter ranging from a few millimeters up to the size of a school bus — is in the orbit below 1,000 kilometers, an area we need to traverse every time we want to reach space. This debris cloud is a concrete threat for future missions in space. 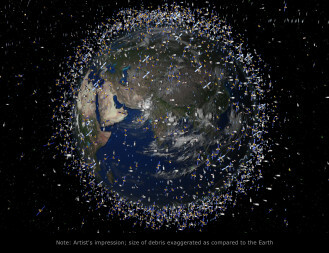 Unfortunately, the amount of satellites properly disposed of is still below 50 percent. What is the best strategy to stop the increasing concentration of junk around the planet? Passive and active devices can be installed on satellites to remove them at the end of their missions. Some envision an active debris removal (ADR) mission to go grab a dead satellite and remove it. There are even studies for refurbishing missions, where a robotic space vehicle would grab a satellite nearing its end of life to refuel and service it. Nearly all of these plans are real only on paper. Effort and money are being spent today on the development of ADR missions, a remediation technique focused on eliminating the garbage that is already in space. These technologies, once developed, will permit spacecraft to grab large or small satellites and remove them from orbit. Unfortunately there are still several criticalities to face. 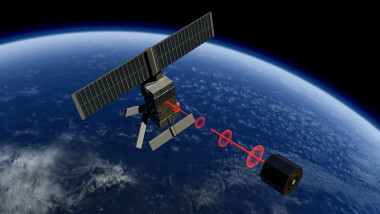 There are political and legal issues related to the ownership of defunct satellites that prevent, for example, a European ADR vehicle from disposing of an Indian satellite without permission. There are also technology development challenges, like the need to capture a noncooperating target. Finally, there is the cost of every single mission that will be paid by taxpayers. Moreover, according to some experts, we need to remove about 10 big satellites per year to significantly reduce the collision risk. With more than 100 satellites launched into space every year, pulling 10 down does not get us closer. 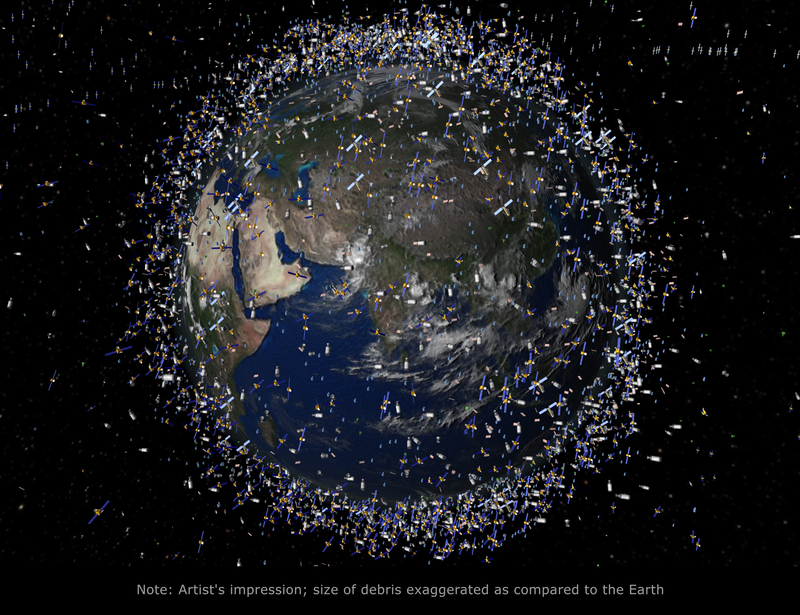 Another expanding sector is debris monitoring, also part of mitigation techniques: large telescopes and radars to detect and track all the objects around the planet to warn satellite operators about imminent collisions. While this is a good idea, the investments required for the infrastructure are massive and the great majority of debris is so small that it cannot be tracked. Even though today it is important to avoid more collisions, tracking debris is not going to reduce the amount of debris. Mitigation is the process of reducing the likelihood that a specific object will cause more debris. It involves passivation of rocket bodies and decommissioned spacecraft — venting pressure vessels and fuel tanks and discharging batteries to prevent explosions in space. These fundamental measures are quite well implemented in all the new satellites launched. But once more, mitigation measures by themselves don’t get us any closer still. In the end we can’t limit ourselves to “reducing,” “remediating” or “mitigating” if what we ultimately want is to operate in a clean space, where operators are not bothered by other threatening man-made objects approaching their assets. We should first make sure that every new satellite and launch vehicle is properly and effectively removed at the end of life. Then we can start removing the defunct satellites already in space. Finally, we may think about recycling and reusing spent satellites already in space. Therefore, prevention is the first action to be put in place, while we develop effective and efficient technologies for the ADR missions. Tethers, balloons, solar sails and active decommissioning devices are all examples of systems that can be installed on satellites before launch to increase the chances of being able to dispose of them at the end of life. Whatever is ready and available today is better than doing nothing. No more dead satellites such as DMSP-F13 should be left uncontrolled in orbit, representing a risk to operative satellites due to possible collisions and to the safe access to space of incoming missions. Luca Rossettini is chief executive and co-founder of D-Orbit, an Italian startup targeting the space debris mitigation market.